ItemBARK_1990.0003.1092 - Mrs. Lim Foon Hai Hoy with family members; circa 1955. 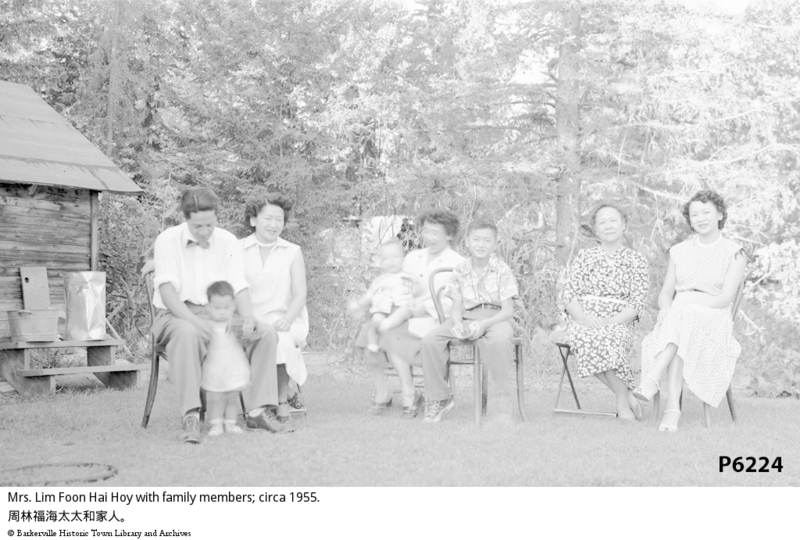 Item BARK_1990.0003.1092 - Mrs. Lim Foon Hai Hoy with family members; circa 1955. Depicts Mrs. C. D. Hoy sitting in a semi-circle on wooden chairs with three of her daughters, one son in law and three grandchildren.. They are in an open grassy area. This area is hedged by large coniferous trees. There is a partial view of a shake roof, horizontally sided building. See also P6229, P6230, same people.